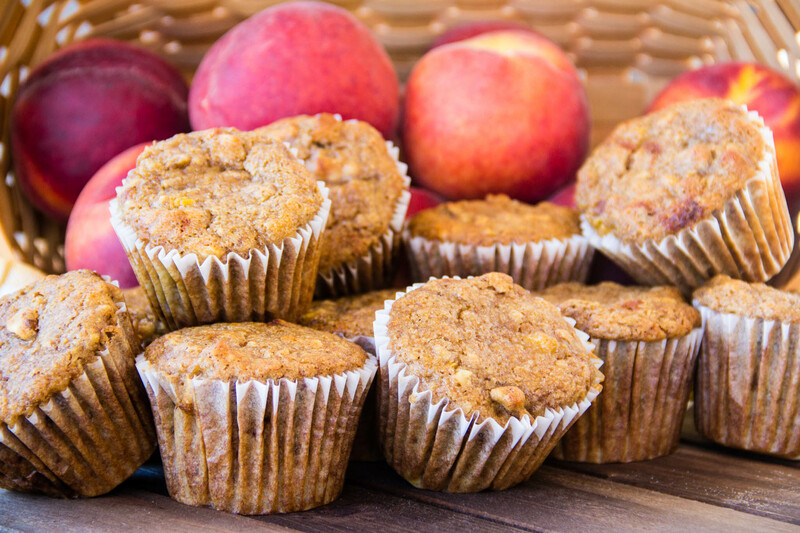 These peachy, simple, gluten-free, & vegan muffins are moist with irresistibly crispy edges. Preheat the oven to 350°. Line 10 muffin cups with paper liners. In a small bowl, whisk the flour with the baking soda, baking powder, corn starch, cinnamon and salt. 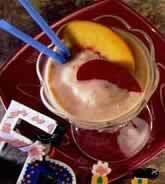 To make the peach puree, skin and slice 2 peaches then place in a blender. Blend until smooth. 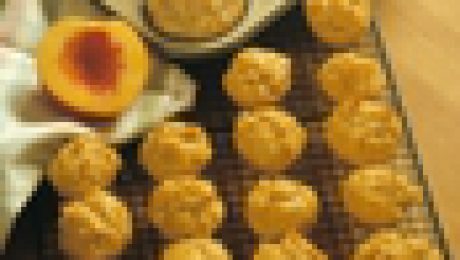 In a medium bowl, whisk the mashed peaches and peach puree with the brown sugar, oil, vanilla and agave. Stir in the dry ingredients just until incorporated, then stir in half of the walnuts. Spoon the batter into the muffin cups, filling each one three-quarters full. Top with the remaining walnuts. Bake for 30 to 35 minutes, until the muffins are golden and a toothpick tester inserted in the center comes out clean. Transfer the muffins to a rack to cool slightly before serving. 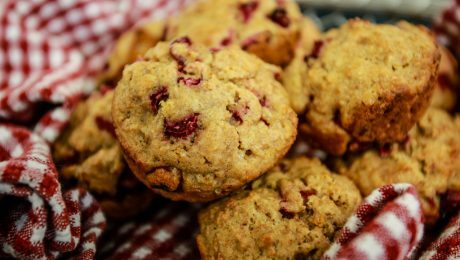 The muffins can be stored at room temperature for 2 days or freeze the muffins to enjoy all year long. 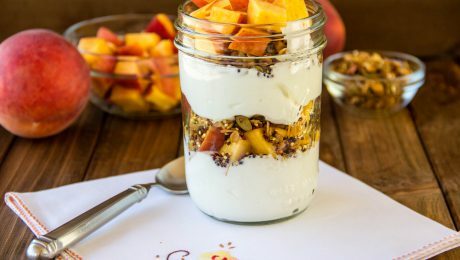 This Summeripe Peach-Quinoa-Flax Seed Granola is a delicious and healthy topping for yogurt with sliced fresh peaches. 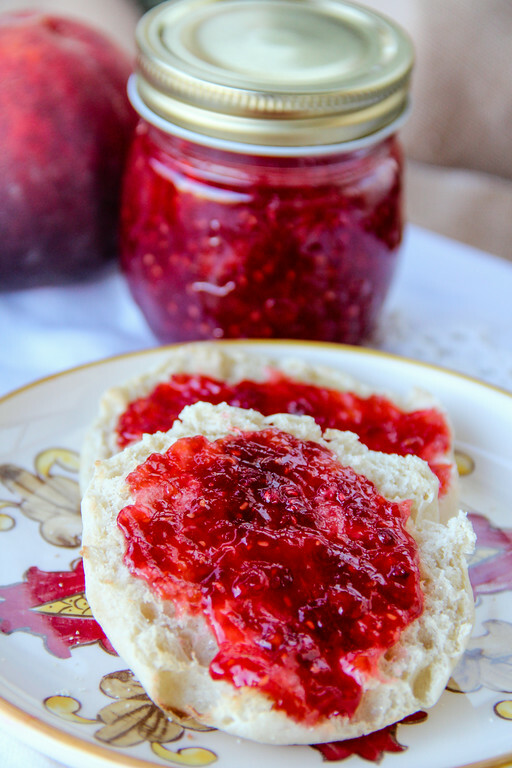 It's also a great healthy snack to eat right out of the jar! 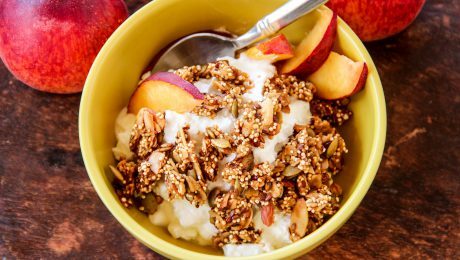 In a small bowl combine peach puree, honey or agave nectar and coconut oil, whisk until blended. Set aside. In a medium bowl combine and mix all dry ingredients. Add the peach puree mixture to the dry ingredients and toss to coat. Line a 11x16 baking sheet with parchment paper, evenly spread granola mixture onto parchment paper. Bake for 45 minutes or until golden brown. Remove from oven and let cool for 30 minutes. 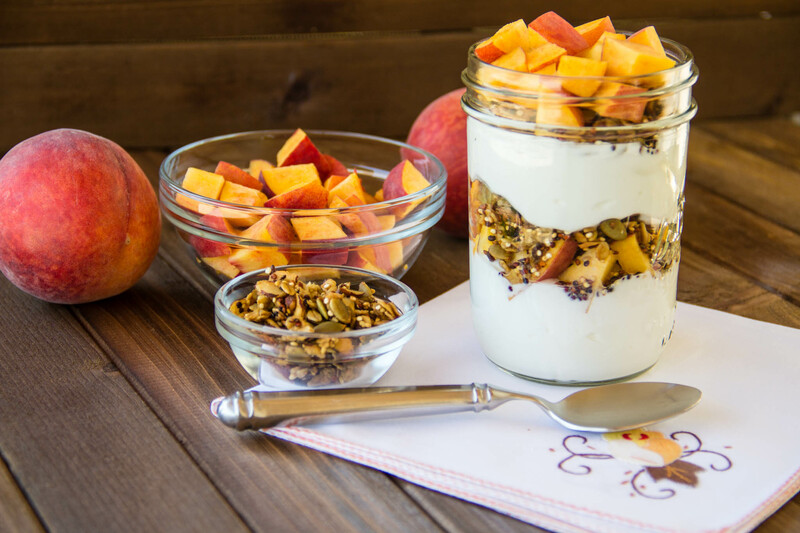 Once cooled, break crisp granola into bite size pieces, store in an air tight container/jar. Peel, seed, and grind about 2 lbs. fully ripe peaches. Thaw 1 (10 oz) pkg. frozen red raspberries. 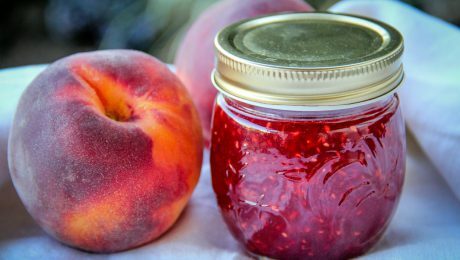 Once thawed, measure raspberries and add enough ground peaches to make 4 cups prepared fruit. Squeeze juice from 2 medium lemons or ¼ cup lemon juice into fruit mixture then add 6 cups sugar. Place fruit mixture on heat; bring to full roiling boil and boil hard 1 minute; stirring constantly. Remove from heat, immediately stir in ½ bottle liquid fruit pectin or one package of Certo. Skim off foam, then stir and skim 5 minutes to cool slightly and prevent floating fruit. 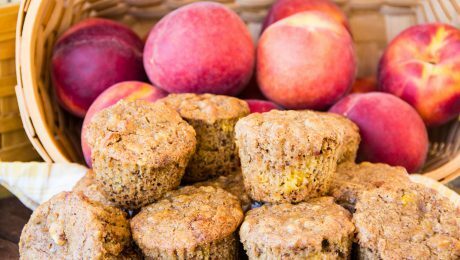 Serve our Summeripe Plum Bran Muffins for a delicious and healthy breakfast that the whole family will love! Pre-heat oven to 375 degrees. Combine bran cereal and orange juice in a bowl; let stand several minutes for the cereal to absorb the juice. In a separate bowl, combine flour, both sugars, baking powder and salt. Stir egg and oil into bran cereal until well mixed. Add bran cereal mixture and diced plums to the dry ingredients; stir only until dry ingredient are moistened. Spoon thick batter into greased muffin cups. Bake at 375 degrees for 20 to 25 minutes or until golden brown. Remove from pan and serve warm. 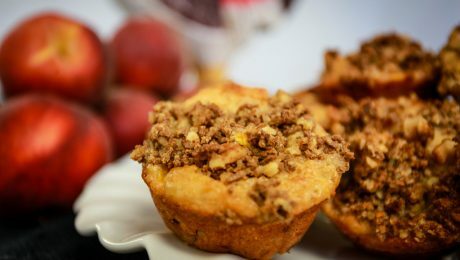 These sweet & delicious Summeripe Peach Muffins become even more delicious with our Bran & Walnut crumble topping. 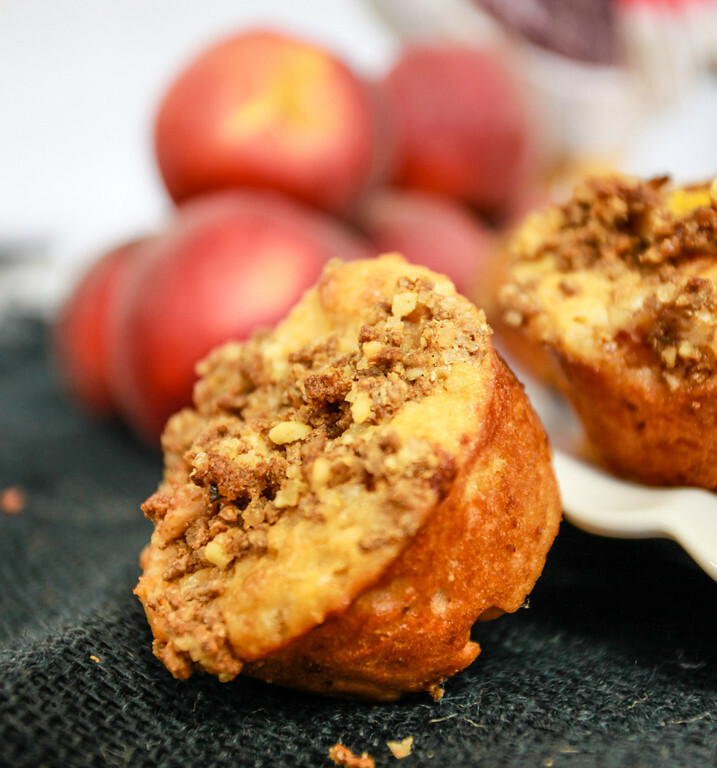 Serve the Summeripe Peach Muffins to the whole family for a delicious and nutritious breakfast or indulge your sweet tooth by saving them for a Summeripe fruit-filled dessert treat! Preheat oven to 400 degrees. Grease muffin pan or line with paper liners. In a large bowl mix the yogurt and honey. Add Summeripe Peaches, both sugars, canola oil, vanilla and egg to the yogurt mixture, mixing until combined. In a separate bowl, stir together the flour, baking powder and baking soda. Combine the bran, walnuts and sugar in a food processor until coarsely ground. Fill the prepared muffins cups with batter and divide the crumb topping over each muffin. Bake for 20 to 25 minutes. The muffins are done when a toothpick inserted in the center comes out with moist crumbs attached.Transfer to a cooling rack and allow to cool completely. Add in Summeripe Plums for another delicious summer time treat! 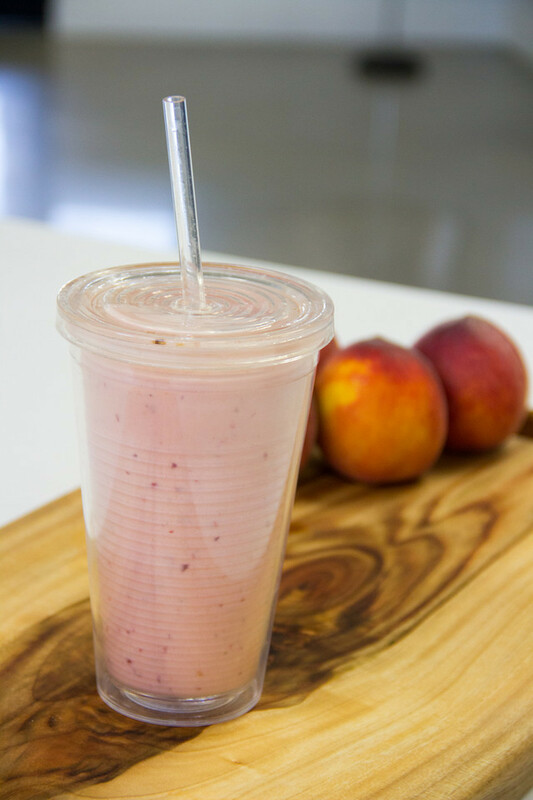 The Summeripe Peach Smoothie is perfect for the whole family. It is a refreshing and energizing breakfast for on-the-go adults and a healthy, sweet snack for the kids. Here at Summeripe, we love using frozen fruit to make our smoothies smooth & creamy. To freeze Summeripe Peaches, slice peaches (as many as you wish to freeze) onto a baking sheet lined with wax or parchment paper. Be careful to place peaches apart from each other, if the peaches are touching they will stick together and will be difficult to break apart. Place sheet into freezer and freeze for 8-12 hours. Store leftover peaches in plastic freezer bags in the freezer. May be stored in the freezer for 2-3 months. Preheat oven to 225°F and line baking sheet with parchment paper. In a medium bowl beat egg whites with an electric mixer until soft peaks form. Gradually add sugar and continue beating until stiff and glossy. Add cornstarch, almond extract and cream of tartar; beat for 30 seconds more. Spread into six 4-inch circles on prepared baking sheet, making a well in the center with the back of a spoon. Bake for 45 minutes, then turn oven off and leave meringues in the oven with the door closed for 1 hour. Remove from oven and let cool. Beat cream with powdered sugar and cinnamon in a small bowl with an electric mixer until stiff peaks form. 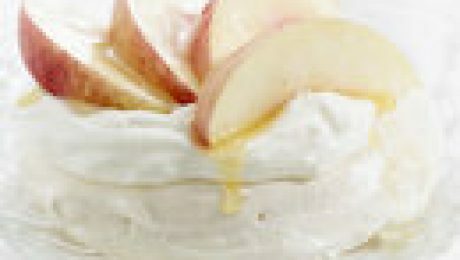 Fill each meringue with cream and arrange nectarine slices on top.Stir together honey, lemon juice and extract; drizzle over nectarines. Chop fruit into small cubes. 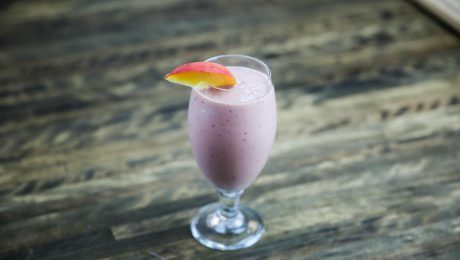 In a blender or food processor, combine fruit with frozen yogurt and milk. Combine cereal and orange juice; let stand several minutes for bran to absorb juice. Stir egg and oil into bran until well mixed. 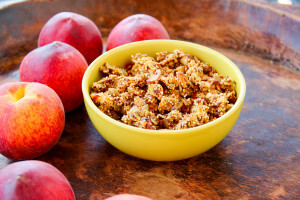 Add bran mixture and chopped nectarines to dry ingredients; stir only until dry ingredients are moistened. (Batter will be thick and lumpy). Spoon batter into 12 greased 2 1/2-inch muffin cups. Bake in 400°F oven for 25 minutes or until golden brown. Remove from pan and serve hot.